The Jerusalem Artichokes (Sun chokes) have been in bloom the last couple weeks. This time of year I cut the blooms off for two reasons. I have read that when you remove the flowers, they will put more resources into making larger tubers. I don’t know if this is true, but I remove the flowers anyway because my landlord isn’t real keen on me having sun chokes anyway. This plant is an example of a species that has much to offer in the form of nutrition. Sadly it has been labelled A WEED in the eyes of industrial agriculture. These plants will take over an area, which I view as a good thing if you are interested in growing them for food. Just beware, if you are going to plant Sun chokes put them in a spot where they can be for the foreseeable future. Your odds of getting them all at the end of the season are pretty slim. I purchased tubers to get my patch started, but have since found numerous locations around here where they grow wild. 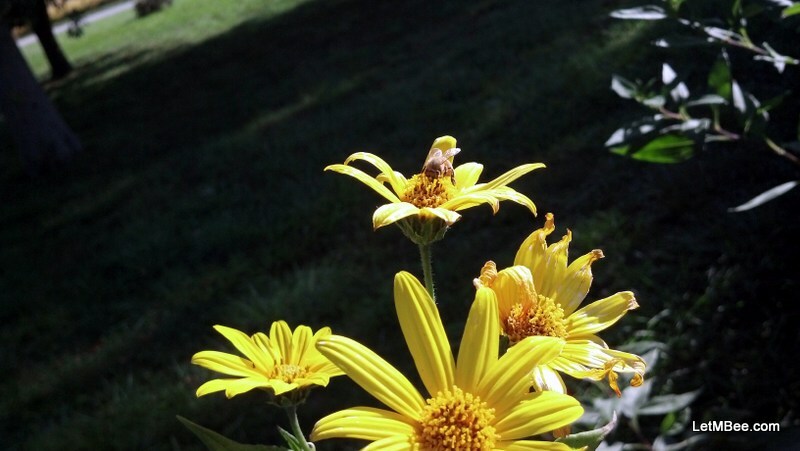 This time of year as you are out and about look for these yellow flowers on top of a plant that is 4-10 feet tall. Bees will be visiting them if there is a hive nearby. You may just find a food source as well as a lead on a trapping location for 2014! 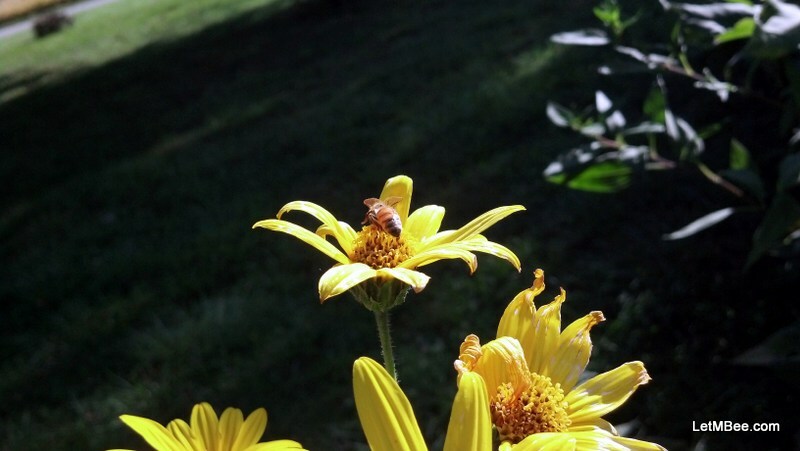 Any other ideas on where you may find bee activity this fall? This entry was posted in Feral Bees, Great Weeds, Posts, Scouting and tagged bait hive, swarm trap. Bookmark the permalink. It’s not a problem to get rid of them in case they become too invasive: just mow the plants down several times as they start growing in springtime. For the size of the tubers I find there is no improvement if you cut the flowers off… and they are very important for the bees in this time of the year (at least here in Italy). Thanks for the info. Like I say I mainly do it to keep the landlord from going berserk. I usually wait until the flowers are pretty far along. Once I get moved I will just let them go. We have a lot of them, on the banks of our rivers, here in Northern Italy! And honeybees love them! Are they considered invasive there? It was my understanding that Jerusalem Artichokes were native to the Americas. You ever gather any in the winter time for eating? My wife loves em. We have different kinds of them: the wild one can have white roots with very little to eat, or pinkish root, with small ” potatoes” we collect and eat. Then there are the cultivated ones, with much bigger pinkish “potatoes”, that you can sometimes find on the local farmers markets. They don’t keep well outside the ground, not like real potatoes, so they must be eaten fresh. The flowers look all alike. They are know to grow on poor soil, so in France in the past I have heard there was a project to grow them to produce bio-fuel. Fry one chopped onion in a small quantity of olive oil, then add the sliced topinambur, add eventually a little water, and let the cook to your taste. Eventually add some finely chopped parsley. I apoogize for being so late in answering, but gmail put your mail in the junk! Ah, they are not considered invasive, at least here in Italy….